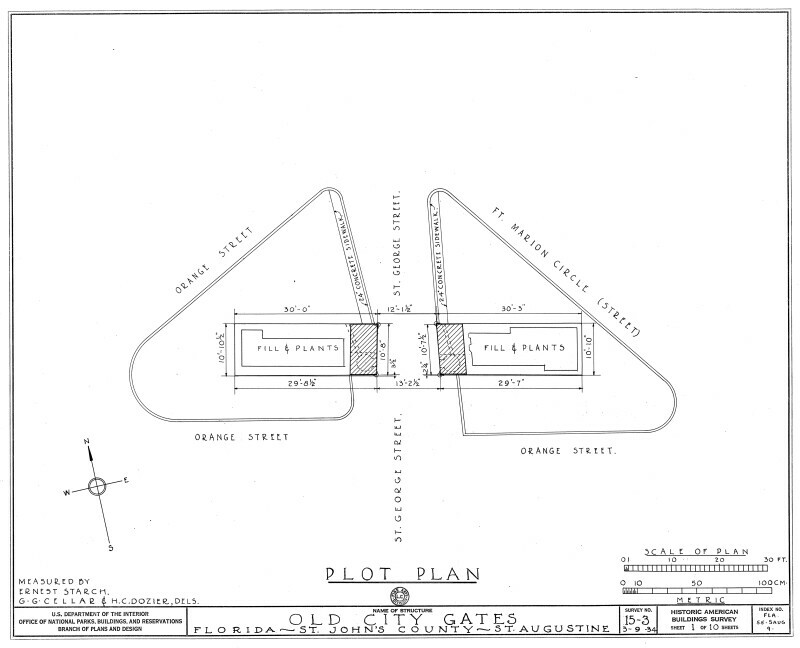 This plan drawing shows the relationship of Orange Street, St. George St. and Ft. Marion Circle to the Old City Gates. It is a part of the Historic American Bulidings Survey. WARNING: You are about to download a 1.3 MB TIFF!